Welcome to the Americas Best Value Inn and Suites of Chincoteague Island, Virginia. We are conveniently located off VA-175, following the signs to Chincoteague Island-Assateauge Islands. 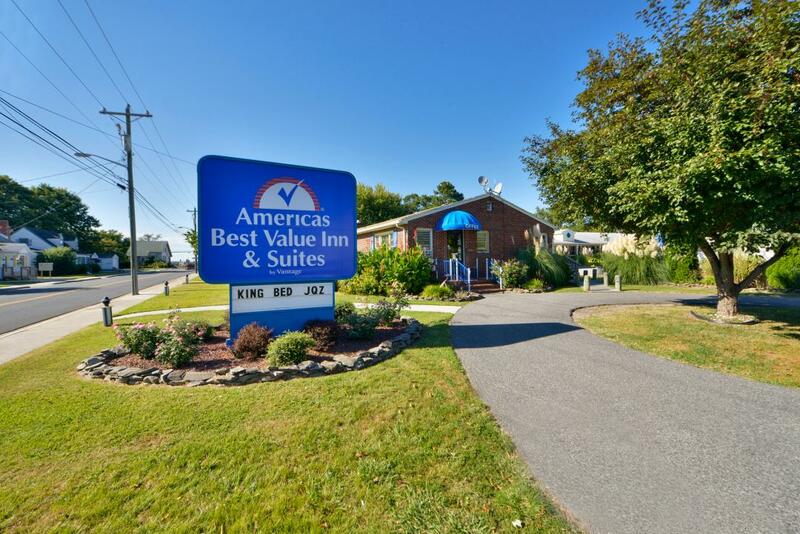 Americas Best Value Inn and Suites Chincoteague Island features 23 guest rooms generously equipped with free wireless high-speed Internet access, microwave, mini-fridge, cable TV, hairdryer, iron, ironing board, and free local calls. All guests are invited to enjoy a variety of amenities including free continental breakfast (served seasonally from mid-May through mid-October), free newspaper, fax services, vending machines, and ice machines. Our hotel has a beautiful sparkling outdoor swimming pool and an adjacent picnic area complete with built in Weber gas grills and prep area. Sorry, no pets allowed. Our wide variety of accommodations makes our hotel exceptionally suitable for both short and extended stays. We have plenty to offer, as we are situated nearby many popular attractions including the NASA Wallops Visitor Center, Chincoteague Island Lighthouse, Chincoteague Pony Center, Refuge Waterfowl Museum, Beebe Ranch, and the Wildlife Expedition. If you are into sports or just getting out and having fun, there are a number of recreational activities less than 1 mile away including the Chincoteague Hunting and Fishing Center, Surfside Golf, Captain Barry's Back Bay Cruises. Be our guest, relax, and enjoy the value of staying at Americas Best Value Inn and Suites of Chincoteague Island. AJ's on the Creek Restaurant, 0.2 mi. Great Wall 2, 0.3 mi. Don's Seafood Market and Restaurant, 0.4 mi. Captain Zack's Seafood, 0.4 mi. Check out these Chincoteague Island attractions during your stay. Ocean Beach Shop, 0.3 mi. Island Roxy (Movie Theater), 0.4 mi. Shopping in Downtown Chincoteague, 0.5 mi. Jus' Bikes (Bike Rental), 0.6 mi. Chincoteague Hunting and Fishing Center, 0.8 mi. Assateague National Seashore, 0.9 mi. Assateague Island National Park, 3.1 mi. Linda J. Charters, 0.5 mi. Refuge Golf and Bumper Boats, 0.6 mi. Chincoteague Island Lighthouse, 0.9 mi. Chincoteague Pony Center, 0.9 mi. Refuge Waterfowl Museum, 1.3 mi. Toms Cove Park, 2.2 mi. Beebe Ranch (Misty of Chincoteague), 2.5 mi.